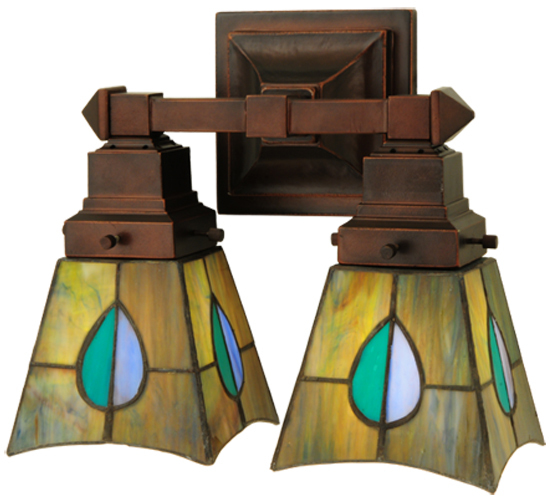 Description: The Mackintosh Leaf stained two light wall sconce has Tiffany style shades in a striking leaf design of Heather, Purple, Highland Teal and Peacock Feather Green glass. The wall sconce was inspired by a famous design from Scottish Nouveau Artist Charles Rennie Mackintosh. It features a Mahogany Bronze finish.